Juventus are reportedly not giving up on Paul Pogba as it’s suggested that they could sell a key midfield option in order to make room for the French superstar. Things have turned around for the 25-year-old in recent weeks following the sacking of Jose Mourinho, with Man Utd putting Ole Gunnar Solskjaer in temporary charge. 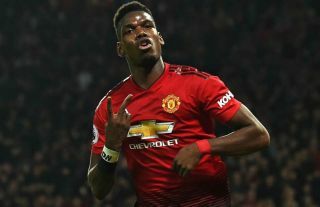 Pogba has responded well as he’s bagged two goals and three assists in his last four Premier League outings, and that would suggest that he’s rediscovered his best form and happiness at Old Trafford with a new major role under the interim boss. However, it hasn’t been enough to end speculation over his future entirely as Calciomercato note, via the paper edition of Tuttosport, that Juventus are still considering a swoop for the Frenchman as they hope to bring him back for a second stint in Turin. It’s added that they remain keen despite being set to sign Aaron Ramsey from Arsenal this summer on a free transfer, although one of Sami Khedira or Miralem Pjanic could be sacrificed in order to make room for the pair and perhaps raise the necessary funds for Pogba. If there’s an opportunity to add such a quality pair to Massimiliano Allegri’s squad, Juve surely have to take it and sell if required. Nevertheless, given Pjanic’s ongoing importance in pulling the strings in midfield and the fact that Khedira turns 32 in April, surely it’s the German stalwart who will be moved on if possible. Given Pogba’s improved form though and the potential impact of United’s long-term appointment this summer, there are now serious question marks over whether or not it will even be possible to convince the World Cup winner to leave Old Trafford in the immediate future.